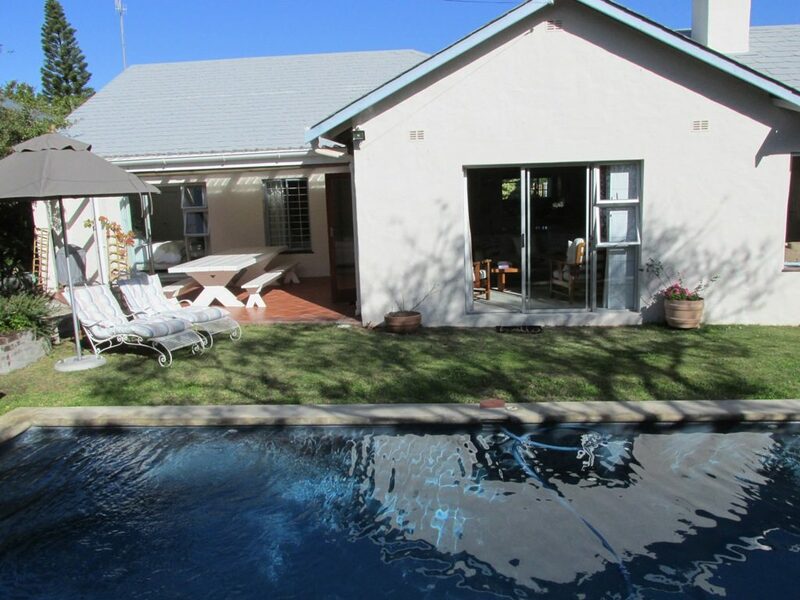 3 Bedrooms/2 Bathrooms – SLEEPS 6. 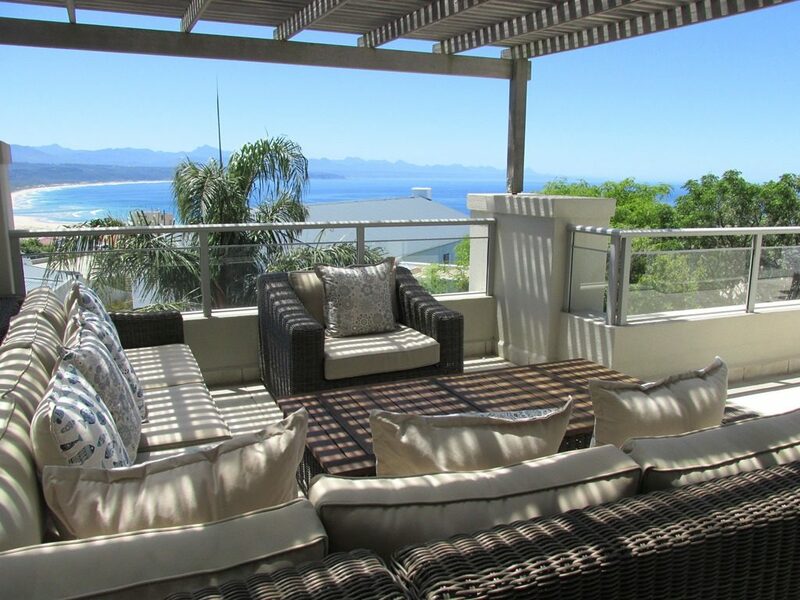 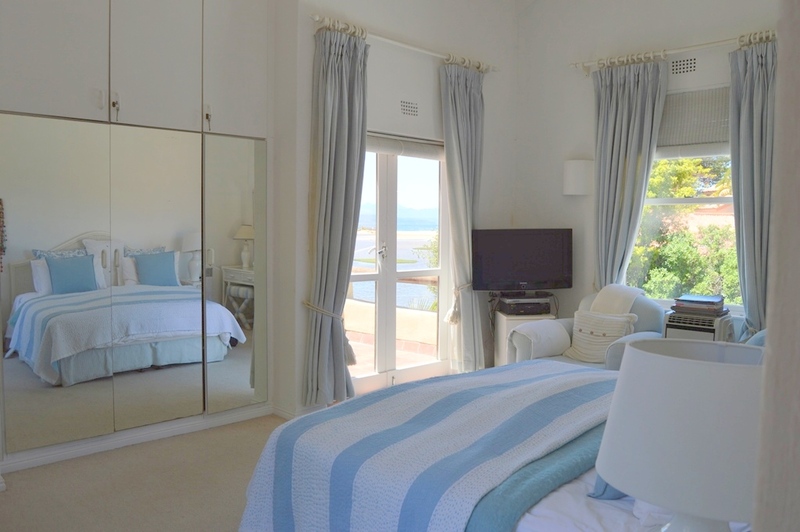 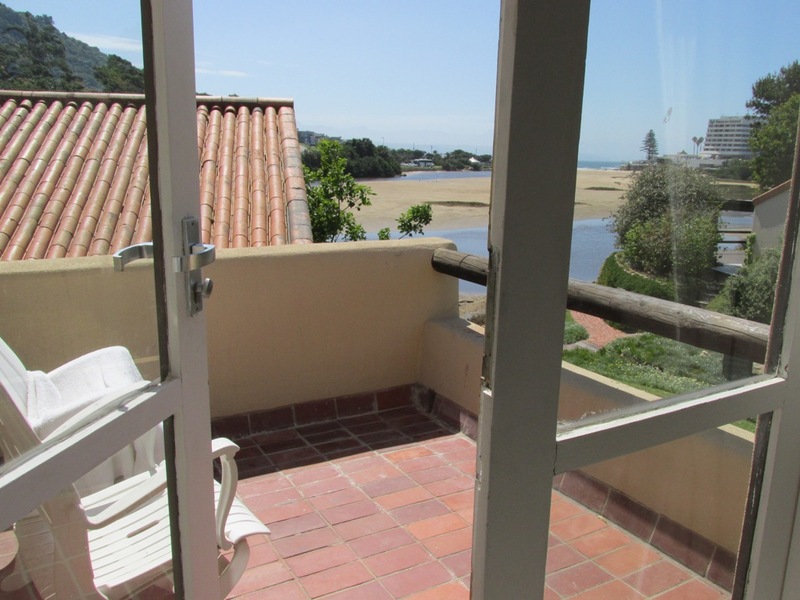 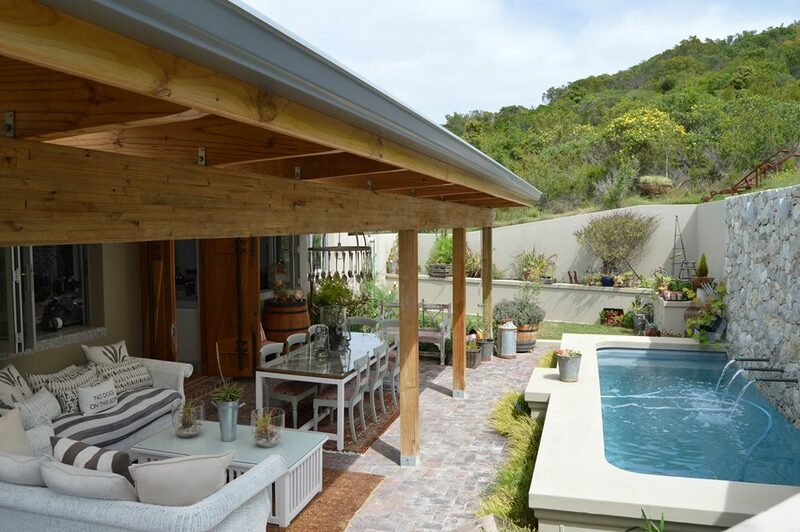 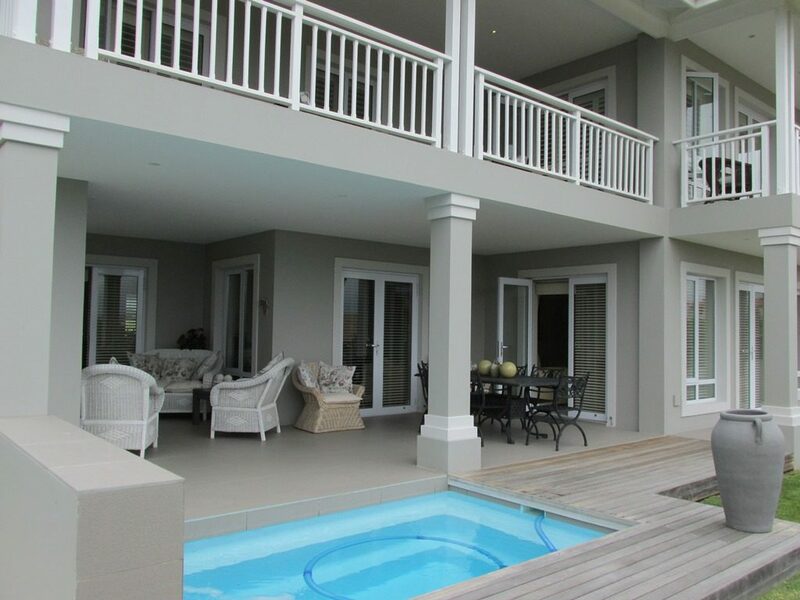 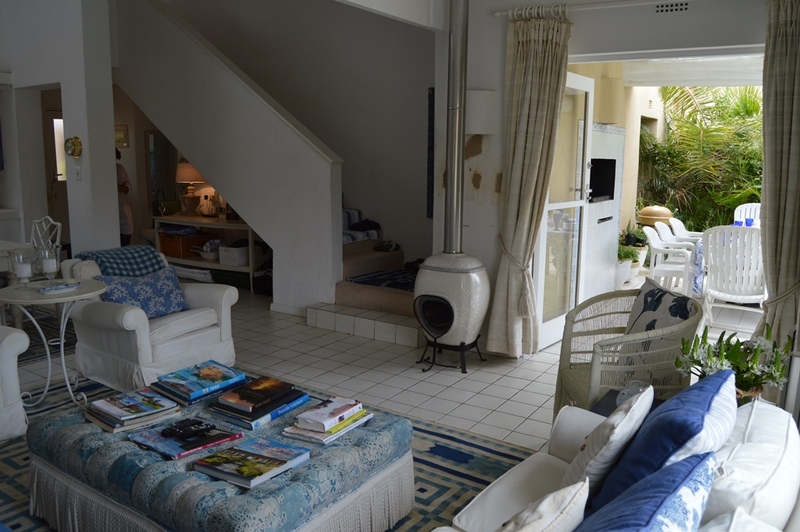 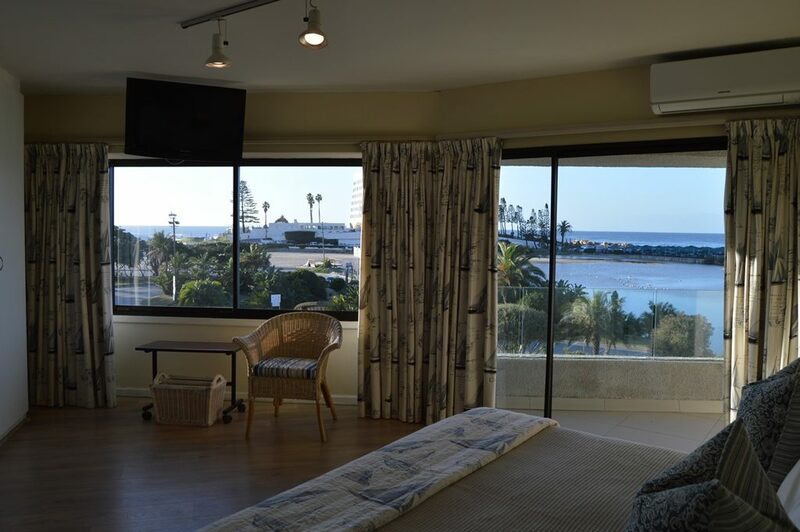 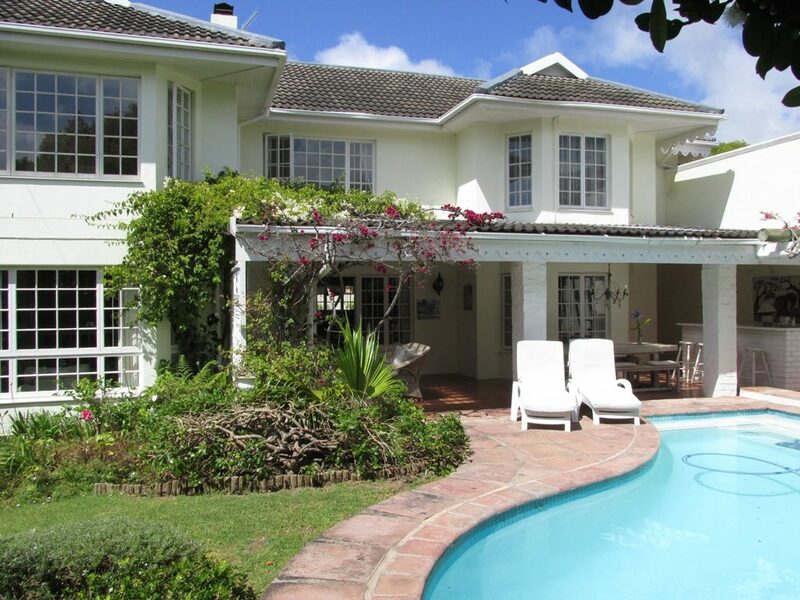 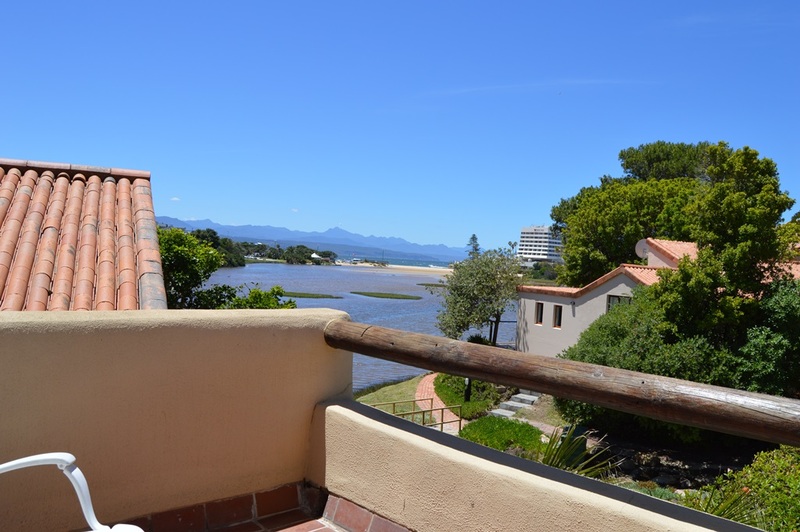 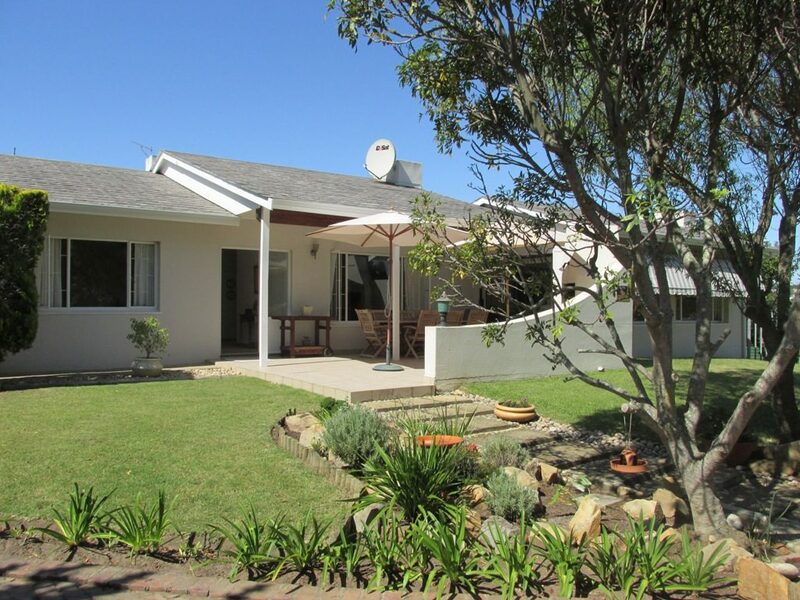 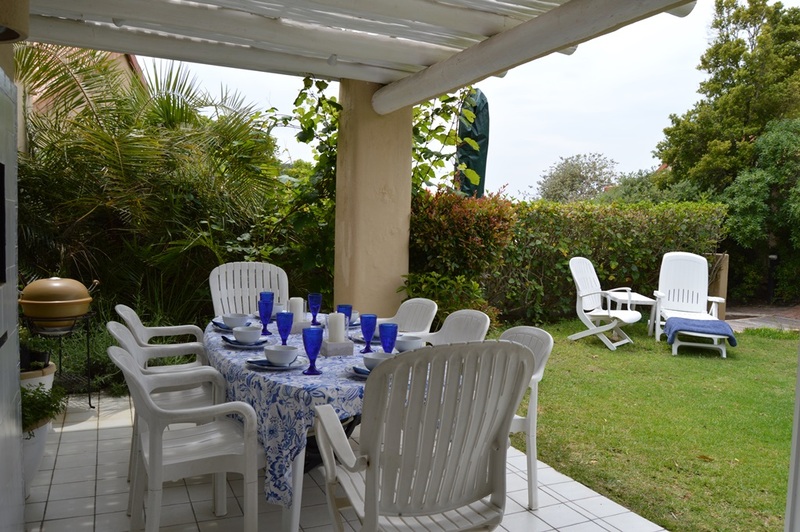 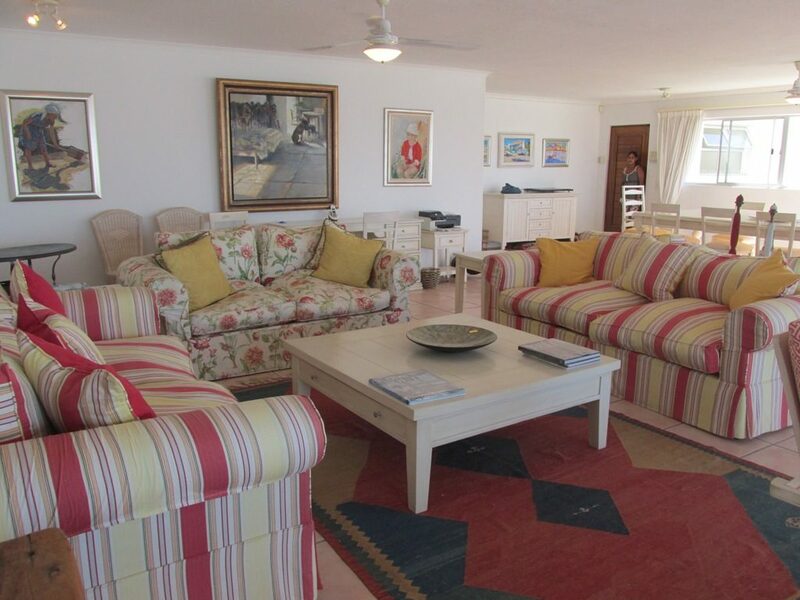 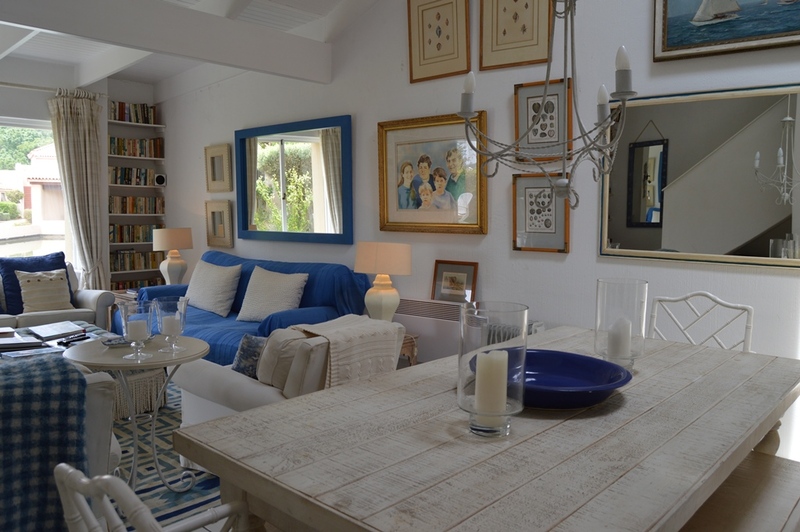 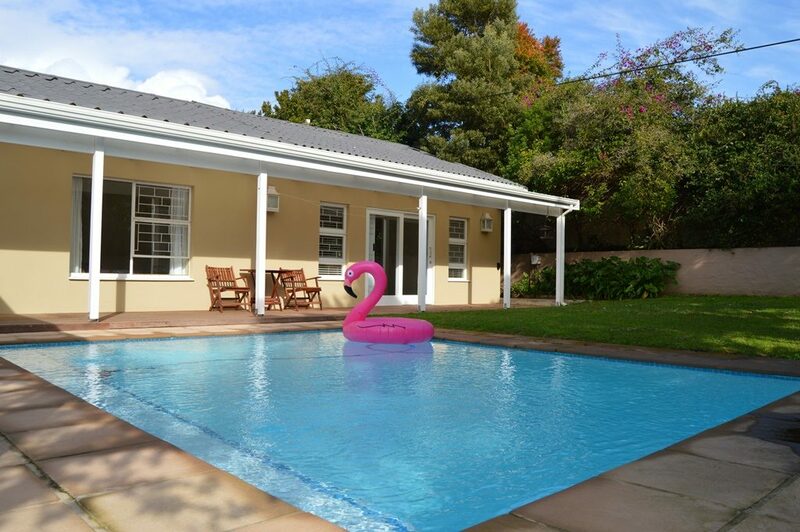 Standard Self-catering holiday apartment within easy walking distance ±500 METERS to Robberg/Central Beach. 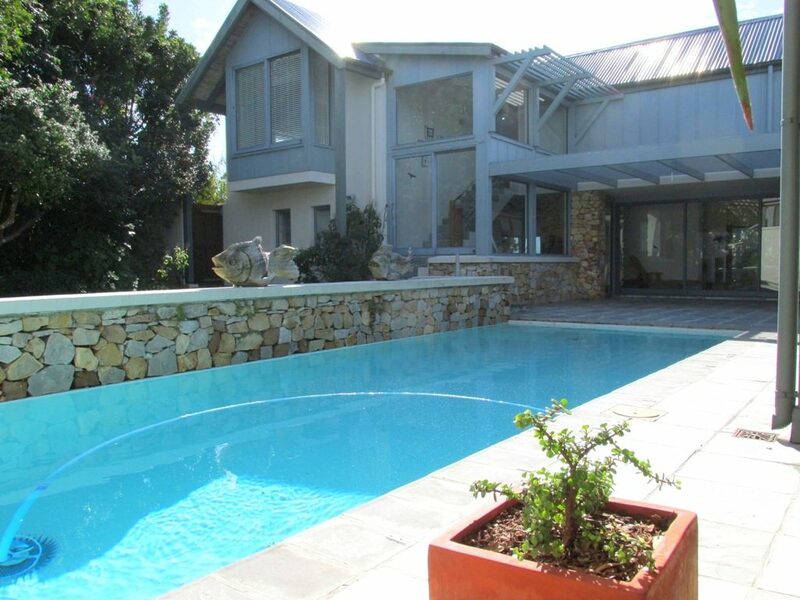 Large swimming pool and communal gardens in the complex. 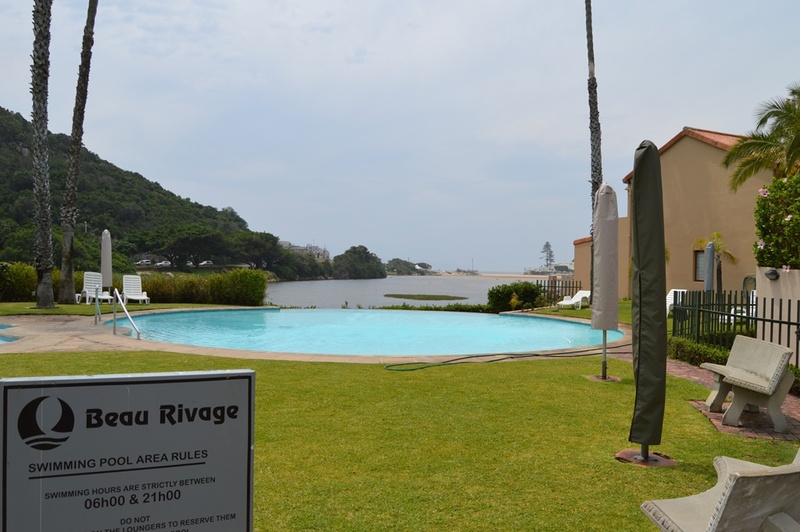 There is a mini-shopping centre with a Kwik-spar, Bottle Store, Pharmacy and restaurants across the road from Beau Rivage. 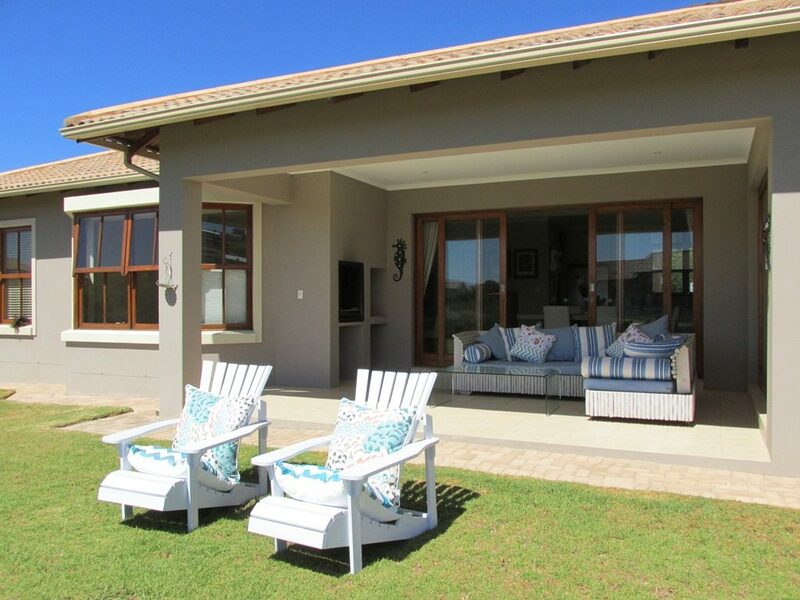 This unit is near the front and overlooks a pond. 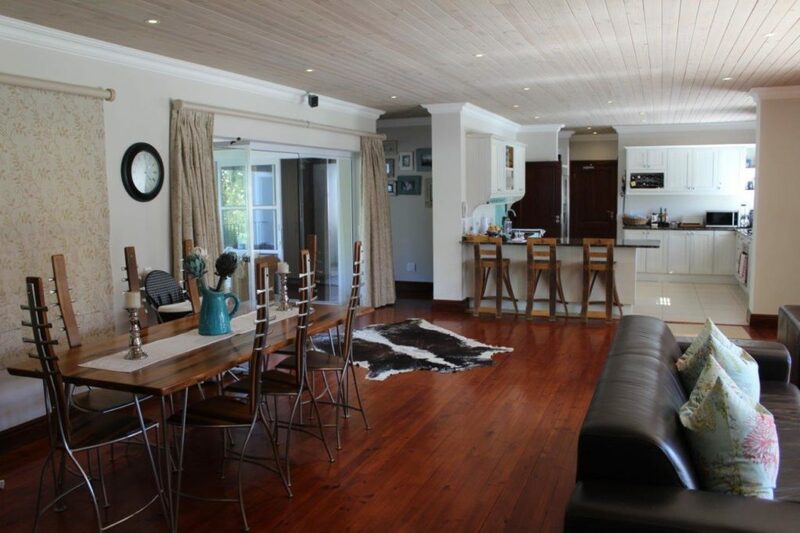 Downstairs/Ground floor: Entrance into the open-plan lounge, dining and small semi-separate kitchen area. 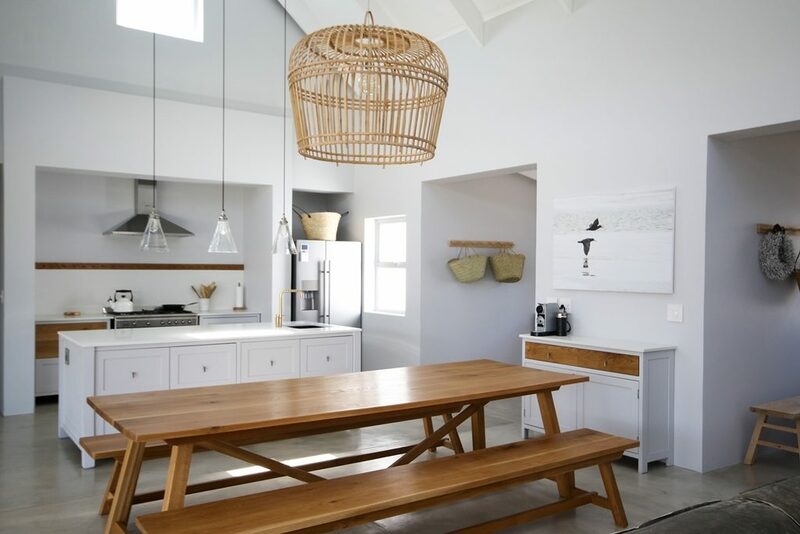 The dining table seats 8 (wooden table with wooden benches). 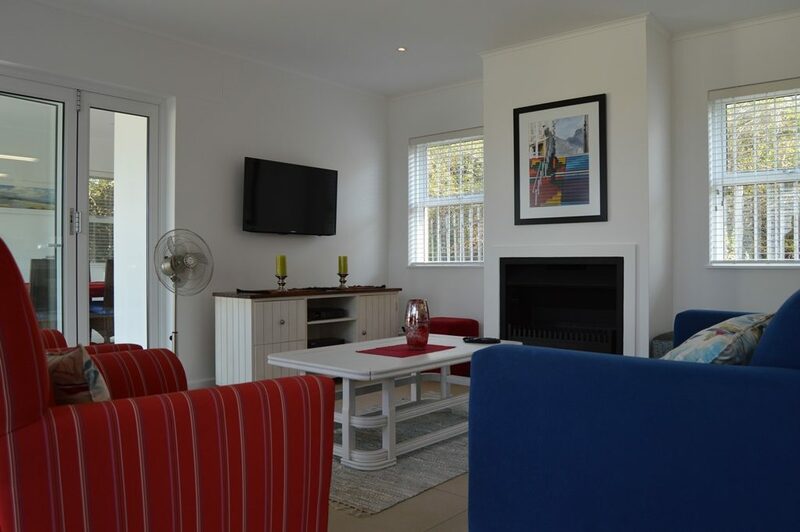 The lounge has a TV, DSTV, & DVD Player & mini HIFI. 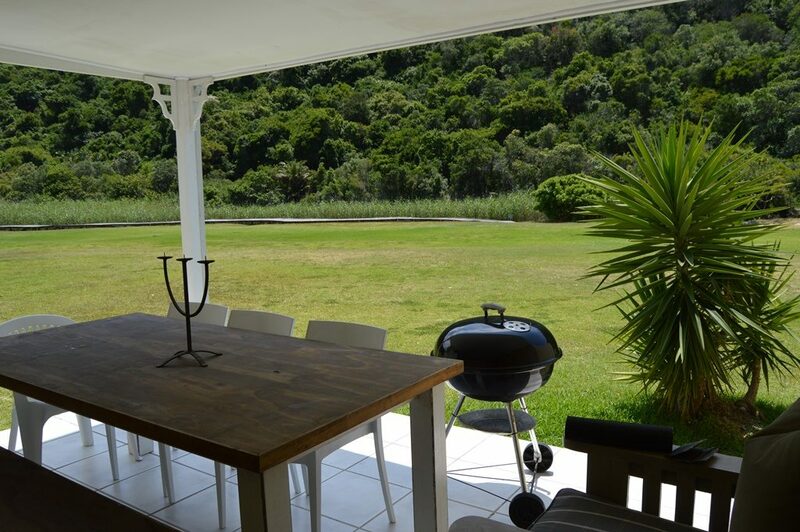 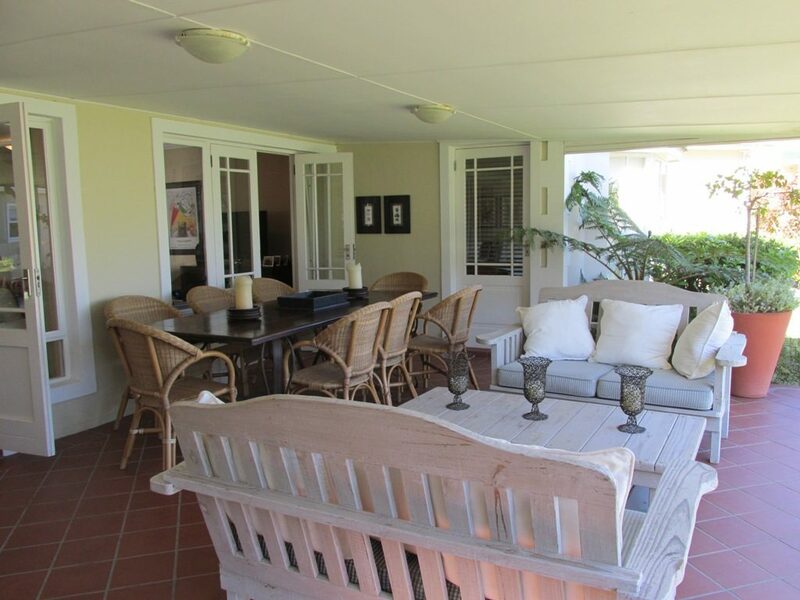 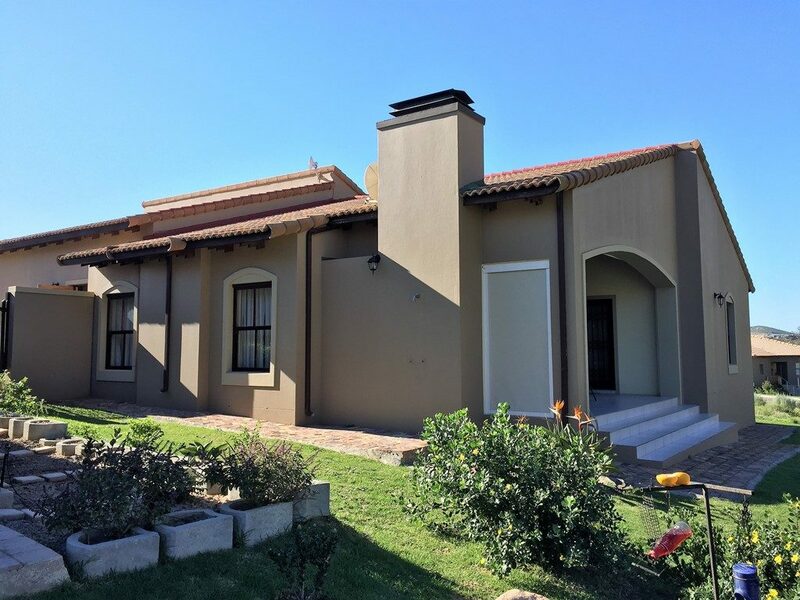 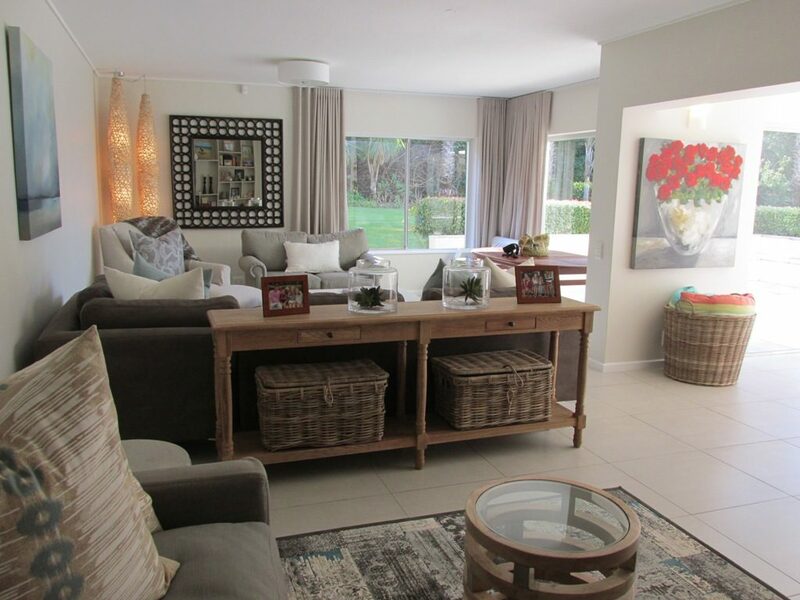 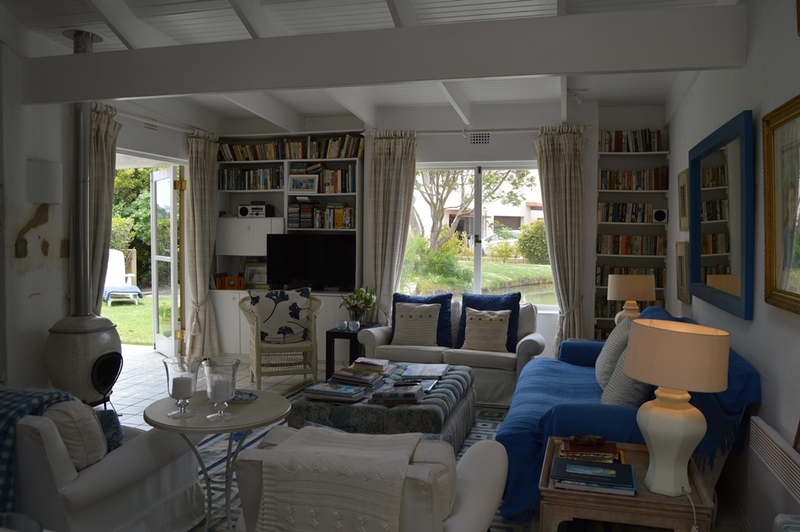 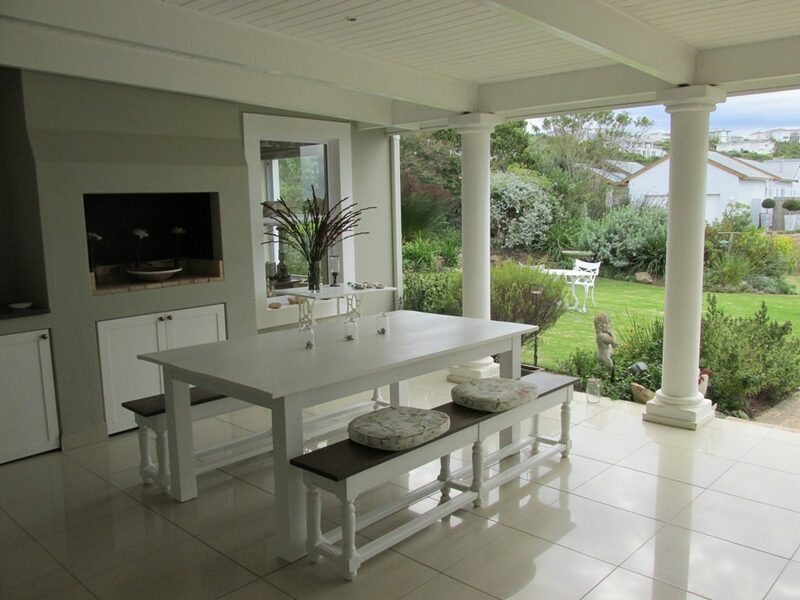 Doors lead out to the patio area with dining table seating 8 (plastic chairs and table) with a built-in braai overlooking a pond and the gardens. 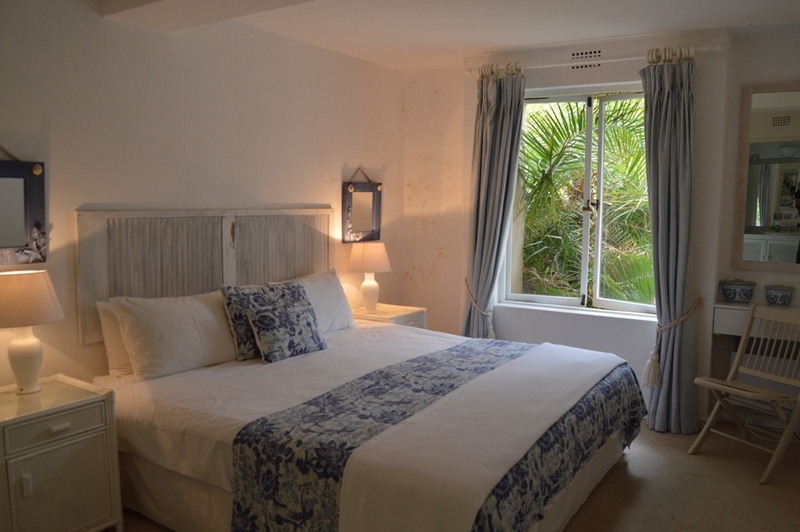 Bed linen, bath and basic swimming towels are provided. 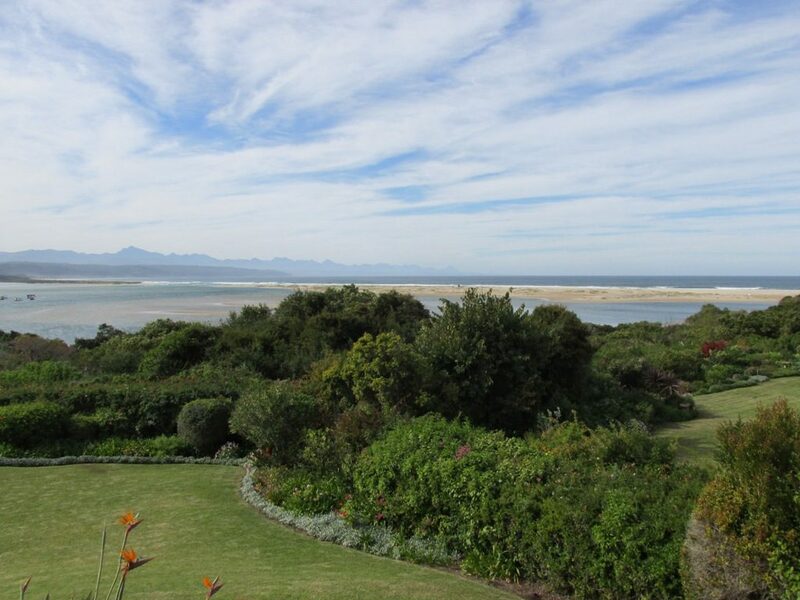 May not be safe for families with young children due to close proximity of the open ponds. 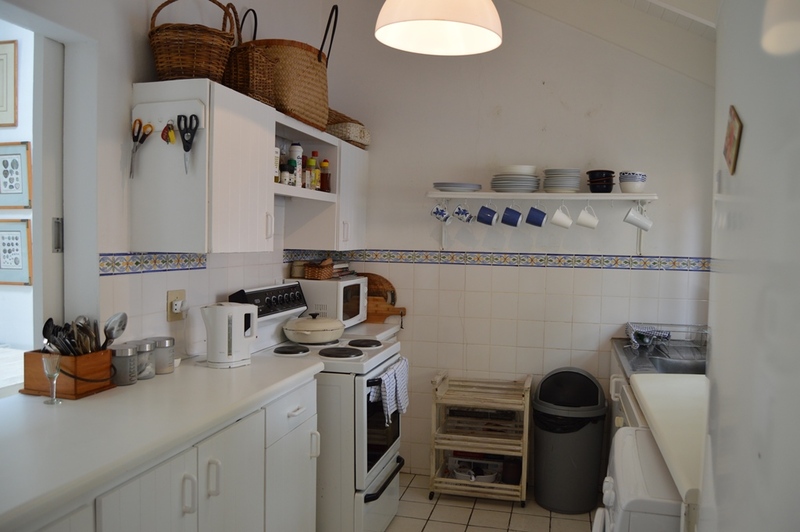 Kitchen equipped with dishwasher, washing machine, fridge & freezer combo and microwave. 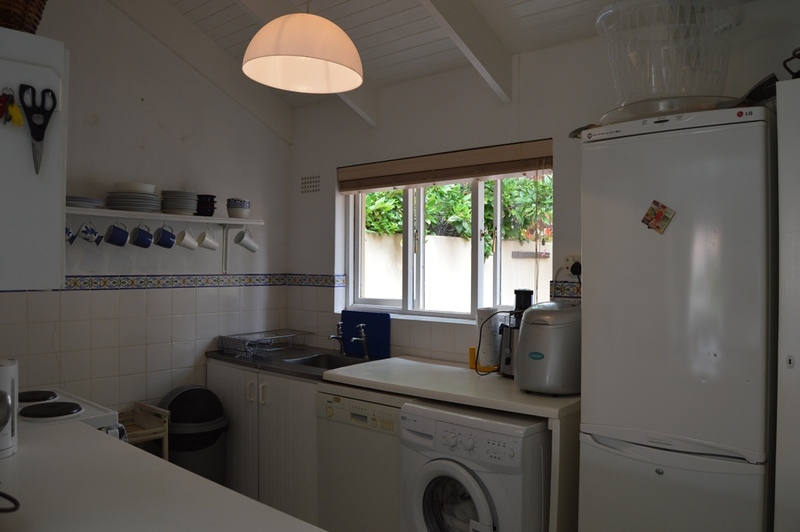 4 Plate Electric hob and electric oven free-standing combo. 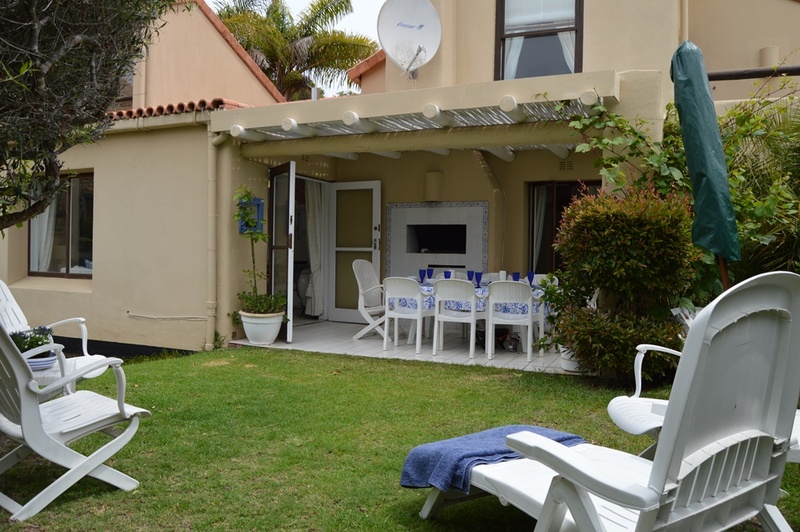 Parking: X1 parking bay in the complex. No garage parking. 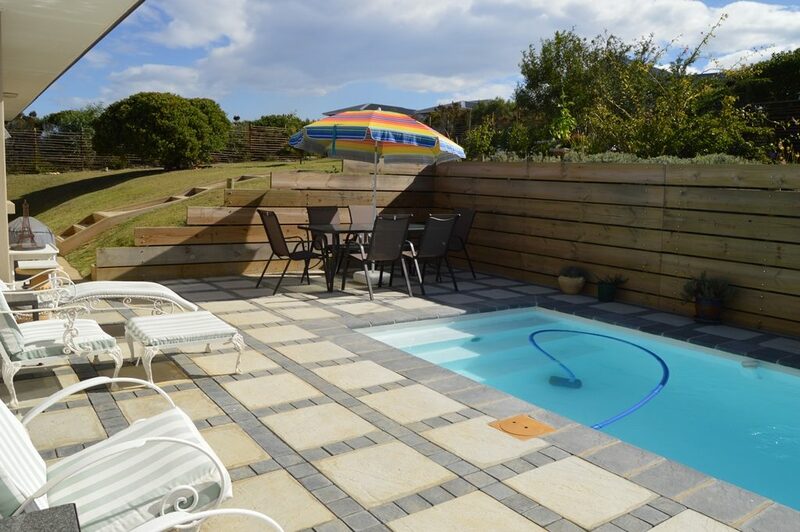 Communal swimming pool has no safety net but has a fence.